If you have recently purchased a wired or wireless printer, it’s not enough to just be able to print from a single computer. 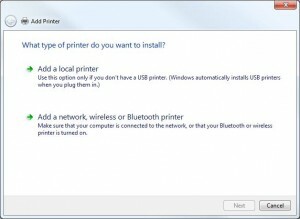 It’s best for you to utilize the printer by installing and adding the network wireless printer to your Windows 8/7 home network so that all other computers can access to it. The ways to add a network printer to a home network may vary depending on what type of printer you have and how you want it to be. Generally, there are 3 case scenarios on how to add a network or wireless printer to a home network and yours should be one of them. We have full solution for each of the case scenarios listed below. You can skip and scroll to the scenario that best match your case. How to share a printer connected to my computer with other computers in my home network. 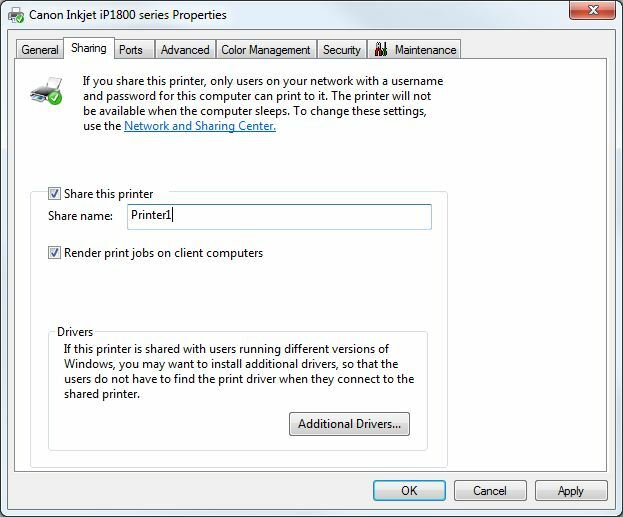 Windows XP or Vista = Go to Start -> Control Panel -> Printers and Faxes (or something similar) -> right click your printer icon and choose sharing. The “share name” box allows you set a simple name for your printer (a simple “Printer1” will do). 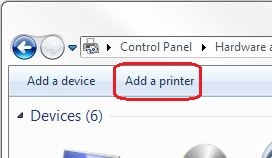 Click Ok.
Windows 7 or Vista = Go to Start -> Control Panel -> Hardware and Sound -> Devices and Printers -> right click your printer icon and click printer properties. Go to the sharing tab from the pop up properties window. Check the checkbox for share this printer. Type in any simple name (eg. 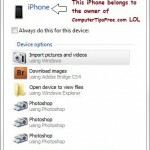 Printer1) for share name. Click Ok. Check the computer name of the computer that the printer is connected to. Go to Start, right click My Computer, click Properties. Refer to the screenshots below to identify your computer name, and then note it down. Switch on your computer as well and go to Start -> Control Panel -> Hardware and Sound -> Devices and Printers (Windows 7 or Vista). Or Start -> Control Panel -> Printers and Faxes (Windows XP). Or something similar. 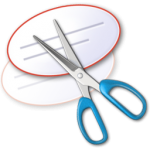 Click Add a printer on the toolbar or from the sidebar. Click Add a network, wireless or Bluetooth printer. The add printer wizard will now search for all available printers automatically. If it does find your printer, then you’re done. If not, proceed to next step. Click the printer that I want isn’t listed option. You’ll need to manually find a printer by name or TCP/IP address. In this case, select the second radio button for Select a shared printer by name. Type in what you’ve found previously in this format yourcomputernameyourprintername. 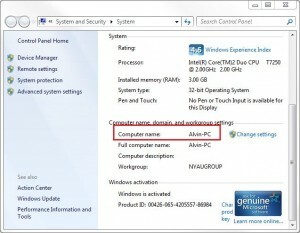 As for what I’ve found shown in the previous screenshots, I’ve to type Alvin-PCprinter1. Click Next, OK then Finish, and you’re done. You can try to print something right away. A network-ready printer is a printer that has built-in network card which allows you to connect the printer directly to your router or hub without a print server. Network-ready printers, especially with wireless connectivity, are much more expensive than a normal printer. If you can’t afford one, you should try getting a print server and use it for your existing printers. If you can afford it, why not? We would like to recommend you Canon PIXMA MP560 Wireless Inkjet All-In-One Photo Printer which is currently the best selling printer on Amazon. 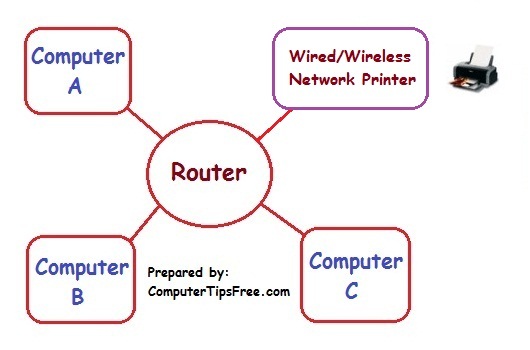 Follow the steps below to add a wired or wireless network printer to your home network. If you have an installation CD that came with the network printer. I would say it’s a good news as you can skip all steps below. Install the printer using the CD and everything should be done in the setup wizard. 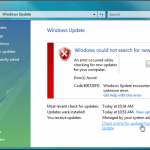 If you don’t have an installation disk or the installation failed to work out, continue the steps below. 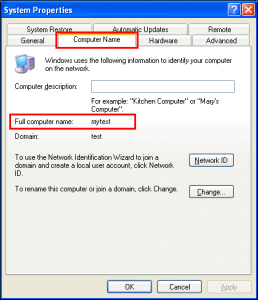 The following examples and screenshots on how to add a network printer are taken from Windows 7. However, the steps are the same for both Windows XP and Vista. Follow the instructions/manuals that came with the printer to connect it to your router or hub. When you’re done connecting the printer, turn it on. 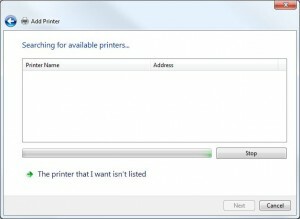 To confirm that you added the printer, do the following: Logon to any computer connected to the network, click the Start button, and then Control Panel. 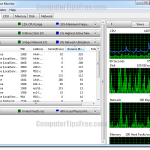 In the search box, type network, and then, under Network and Sharing Center, click View network computers and devices. You should see an icon for the printer with its brand and model name. The add printer wizard will now search for all available printers. 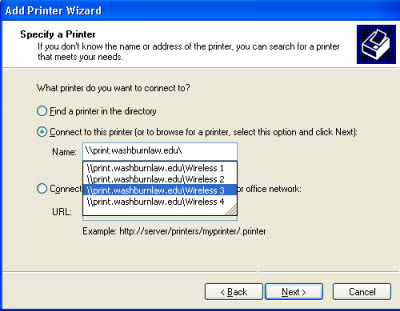 After the wizard finish searching, click on the desired printer name and then click next to install it. In Windows XP, if it doesn’t search the available printers for you, follow the screenshot below and click next. Try to print something from Wordpad or Microsoft Word. It should work fine now. Some routers do support print server functions. These routers often come with multiple USB slots. So, please check your current router to see if it support print server functions before buying a print server. Buying a new print server is not necessary and would be a waste of money if your previous router can do what a print server does. 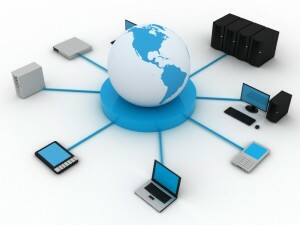 A print server can be wireless or wired. Therefore, the installation process varies depending on what type of print server you have. 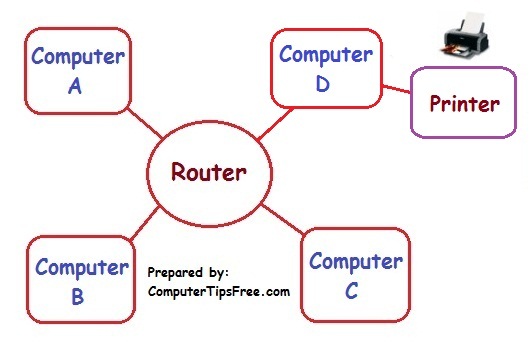 So, you’ll have to follow the manuals that came with the hardware to connect your print server to your home network before proceeding to the following steps. 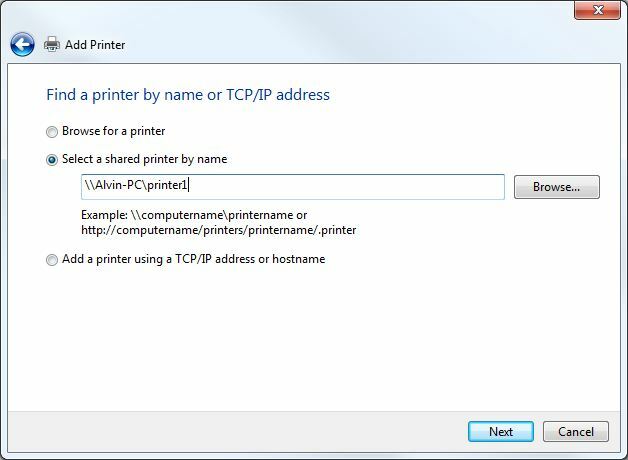 After you have connected your print server and printers to your home network, follow the instructions below to add the printer to each of your computer. If you have an installation CD that came with the print server. I would say it’s a good news as you can skip all steps below. Install the print server using the CD and everything should be done in the setup wizard. At this point, I assumed that your network is properly connected. 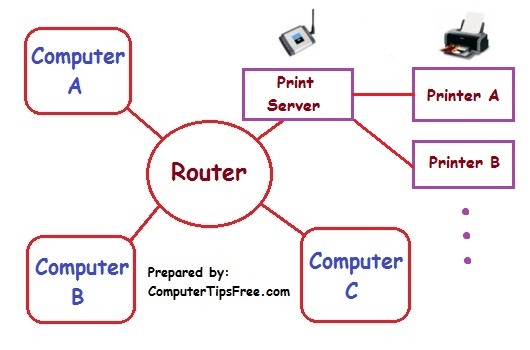 You should now have at least one computer, a router, a print server, and a printer connected as a network as shown in the image above. Turn on both your print server and printer. Or Start -> Control Panel -> Printer and Faxes (Windows XP). Or something similar. If no printer were found after finish searching, proceed to the following steps. If you have reach this stage and you’re not a power user, I would recommend you to get a new print server as your existing one might be too old. Now on the market most of the new print servers, such as the Linksys by Cisco Wireless-G Print Server, will come with a driver installation CD. You wouldn’t need to do all these steps if you have a driver installation CD for your print server. 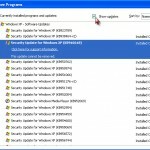 Generally, we will have to do some changes for the ip addresses so that your computer can recognize the print server when adding it. Now I need you to connect your print server directly to your computer. Read the manual and seek for the default ip address of the print server. By default, a Linksys print server’s ip is 192.168.0.10, you can try to access this ip in step 3. If you don’t even have a manual book for the print server, you’ll have to go to the cmd prompt and then type ipconfig /all. Look for the default gateway if your print server is connected to your computer via ethernet. Now that you have the ip address of the print server. Open Internet Explorer or any other browser, type in the ip address to the address bar of your browser and hit enter. Now it will prompt for an username and password. Try username:space blank password:admin or username:admin and password:blank, or both admin. From this step onward, the configuration of the print server might differ depending on what type of print server you have. You should have logged into your print server by now. Look for TCP/IP configuration page or something similar that has 3 fields to be edited – IP Address, Subnet Mask and Default Gateway. After clicking apply for the changes, you won’t be able to login to your print server again because it is set to communicate only to the default gateway which is the ip of your router. Now connect your print server back to your router. Your router should now recognize your print server. Now you’ll have to add the printer to your computer. Go to Start -> Control Panel -> Printers and Faxes (or something similar) -> Click on Add a printer on the toolbar or from the sidebar. Click Next and Click Add Local Printer (or just Add Local Printer). Select Create a new port and choose Standard TCP/IP. Then hit Next. You should now see 2 fields which are “Printer Name or IP Address” and “Port Name”. Type in the IP address of the print server which has been set previously (in my case, it should be 192.168.1.123). As you type, a Port Name will be automatically filled out for you below. Click Next. Select Custom and then Settings. Under Protocol, select the LPR radio button. Click Ok, Next and Finish. You’re done. Try print something now and see if it works. If an error message saying that “printer not found”, you’ll have to install the driver of the printer (not the driver of the print server). After installing the driver, it should work fine.